Students will build on previously learned concepts like adding, subtracting, multiplying, and dividing. They will deepen their knowledge of arithmetic with fractions and work with decimals and negative numbers. They will apply these new skills to help solve real-world problems using statistics, ratios, unit conversions, and geometry, as well as expand their ability to write and evaluate expressions, including ones involving new concepts like variables and exponents. Students will also begin working with equations and learn what it means to solve them. This course will help the student master the Common Core concepts required at the sixth grade level. Each concept is explained and problems are presented in a variety of ways. This allows students to learn in their own way. The student can use his or her current knowledge to learn the new concepts and develop mastery level skills. Students begin with adding and multiplying rational numbers by using number lines, rules, and properties. Then, they move their focus to proportional relationships given in tables, diagrams, graphs, equations, and verbal descriptions. They also learn how to solve problems by finding and comparing unit rates. Next, they rewrite expressions using properties, as well as write and solve simple linear equations by using different methods. The next area of study is probability and statistics, where they will interpret and calculate simple probabilities, as well as learn about populations and samples. Finally, they move on to geometry and learn how to solve problems about scale drawing, circles, and angle relationships and draw some geometric shapes. This second half of Math Basics will continue to expand the student’s math skills in preparation for algebra and geometry. All concepts are presented in multimedia presentations allowing the student to learn in their own style. This course provides multiple opportunities for the student to learn new concepts, as well as reaching mastery level of basic math skills. 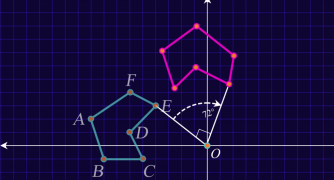 In this course, students begin with the fundamentals of algebra, where they compare, order, and perform operations on rational and irrational numbers, use inverse operations to solve for a variable in one- and two-step equations, write and solve two-step equations from contextual situations, and analyze properties of functions, focusing on linear functions. The next area of study is very large and very small numbers, where they will solve expressions involving powers of a common base, convert numbers to and from scientific notation, and perform operations on numbers in scientific notation. They will then move on to geometry, where they will perform rigid transformations on figures and prove congruence of figures through a series of rigid transformations. Math 8B helps students move from simple mathematics to the exciting worlds of algebra, geometry, and statistics. 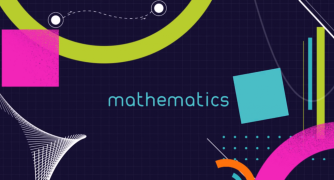 Students build basic skills within each of these three branches of mathematics, as well as the connections between them. In this course, students learn to find multiple solutions, and to read a graph to help find solutions. Students also learn the many ways that graphs can help to quickly and accurately turn algebraic symbols into easy-to interpret real-life meanings. Students experiment and interact with concepts, such as performing transformations and calculating measurements of three-dimensional figures, which helps them build a solid foundation for future studies. The course wraps up with a study of statistics and probability, which helps students to see how the world works and to discover some of the interesting ways that math is used to describe the world.